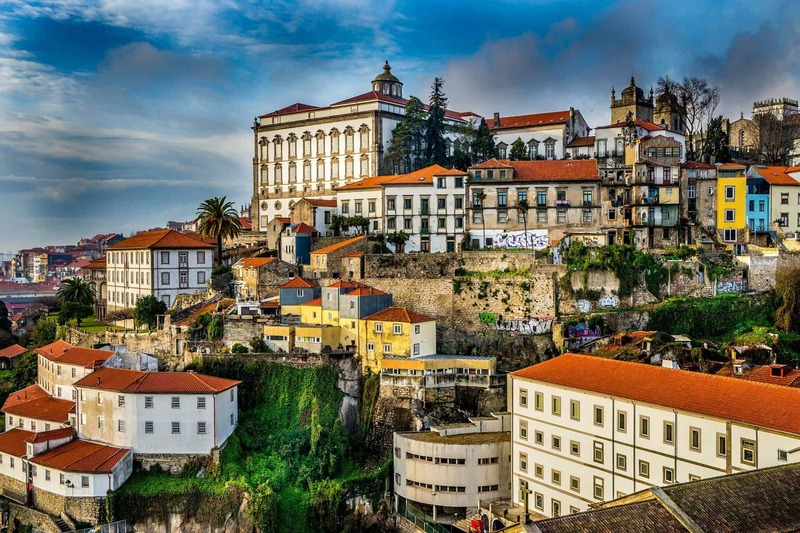 This itinerary will introduce you to Portugal’s main cities, Lisbon and Porto. As Lisbon is Europe’s most up and coming city, now is a great time to visit. You’ll discover traditional Portuguese Fado music in Lisbon and explore the port caves of Porto. When you arrive at the airport your driver will meet you and take you to your hotel. Once you’ve settled in you’ll be heading out to enjoy dinner at Adega Machado in the Bairro Alto district. Here you’ll discover Portugal’s great tradition of Fado music. Today you’ll embark on a guided walking tour of Lisbon. You’ll stroll through Praca do Comercio, Lisbon’s most iconic square. You’ll visit both the National Palace and the Gardens of Queluz – a remarkable example of the harmonious link between landscape and palatial architecture in Portugal. At the Av Fontes pereira de Melo you’ll see the most photographed street art in Lisbon. In the evening, dine at La Brasserie de L’Entrecote; a one of a kind restaurant inspired by the famous Cafe de Paris in Geneva. Wake up bright and early and take a half hour train ride to Sintra, a beautiful small town. Here you’ll find a lot of striking architecture. Although Sintra is small it boasts considerable cultural riches. You’ll want to visit the ancient walls of the Castelo dos Mouros, a castle built by the Moors around a thousand years ago. At the Palacio Nacional, you’ll discover a stunning residence inhabited by Portugal’s aristocracy during the golden age of exploration. After a traditional Portuguese dinner you’ll return to Lisbon. Take an early morning train to Porto. As its name suggests, Porto is a city known for its Port. When you arrive at the station your driver will meet you and transfer you to your hotel. You can explore the city at your own pace. You’ll no doubt want to visit Cais da Ribeira – a pier with lovely views and plenty of bars and restaurants. This would be a good time to sample some of the city’s famous port. Take a trip to Ribeira Square, a UNESCO World Heritage Site. Visit the Igreja do Carmo, a historic church that showcases Portugal’s unique tile art. Then, take a boat across the river for a tour of Porto’s famous port caves. Head to the Vinicola Ramos Pinto winery for a tour of the vineyard and a wine and port tasting session. You may wish to purchase a bottle or two to take home. If you have the time visit Farol Molhe do Douro. You’ll be greeted with beautiful views of the sea meeting the river, offering a quite reprieve from city life. In the evening, head to A Bolina, a riverside restaurant serving traditional tapas. Once you’ve done some last minute shopping your driver will transfer you to the airport for your return flight.